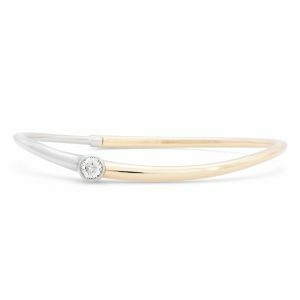 This gorgeous handcrafted bracelet features a hidden hinge. 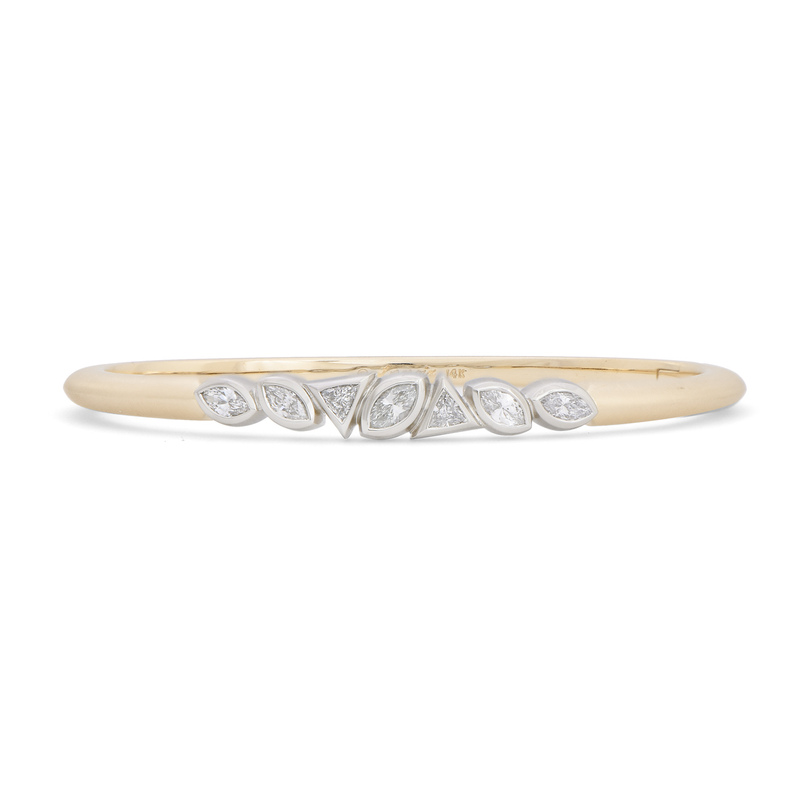 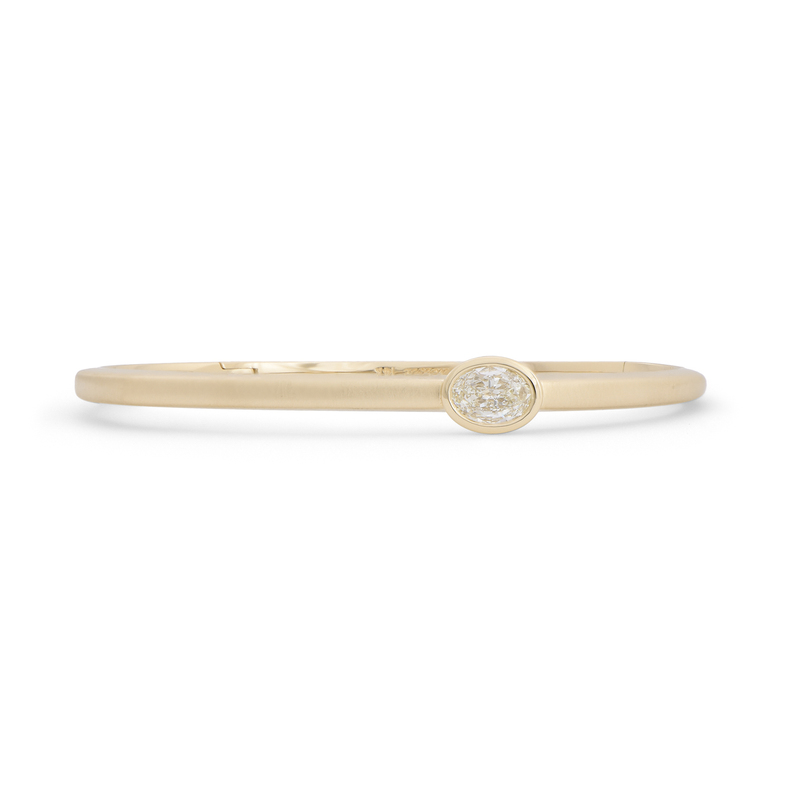 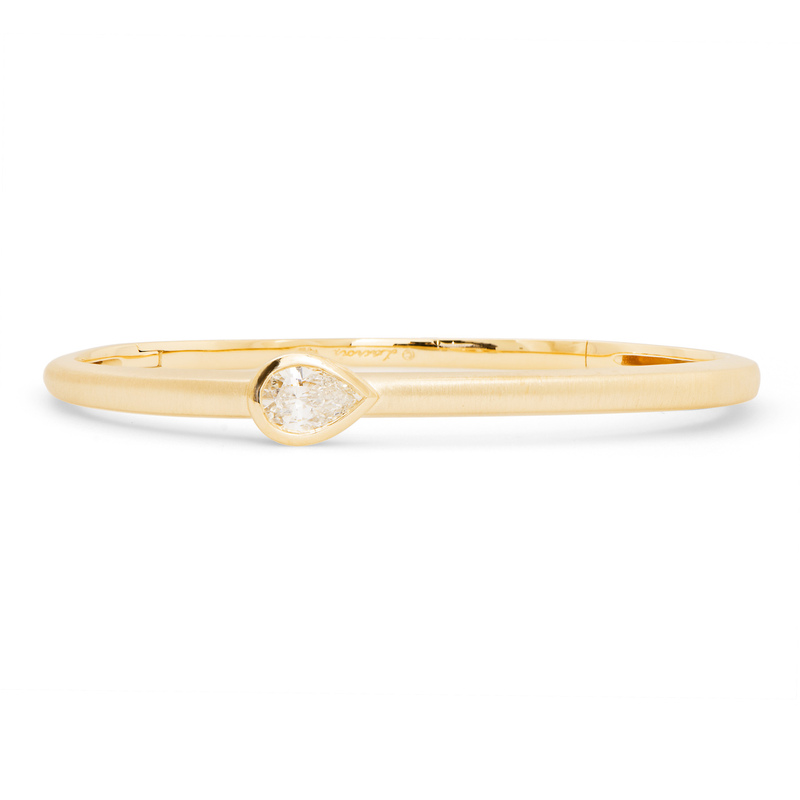 Crafted in matte 14k yellow gold, it features a pear shaped diamond weighing 1.02 cts. 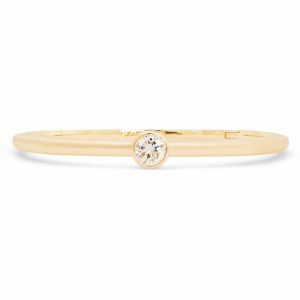 set in a full polish bezel.